Introducing Dorota Zolotenko, RN. Our new Cosmetic Injector! 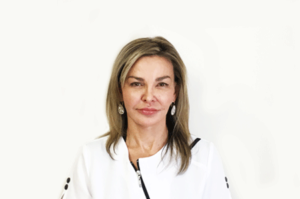 Dorota is a Registered Nurse with an honours graduate degree from Centennial College. Since her graduation, she practiced 7 years in long term care and occupational health, but her passion in cosmetic nursing never ceased. In 2007, she finally began to pursue her dream and began training for Botox and filler injections. She successfully honed her skills in different clinical settings and is now excited to join our team here at Wilderman Medical Cosmetic Clinic! Her friendly and kind demeanor cannot be missed. We look forward to our journey together Dorota! !